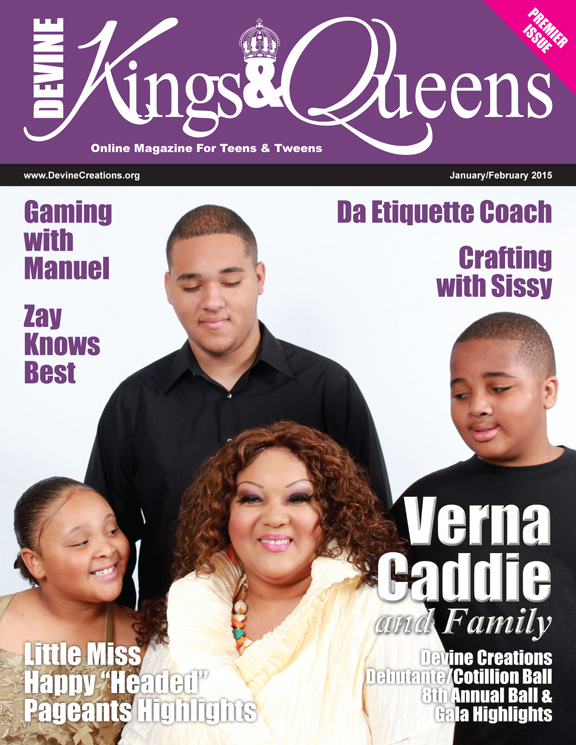 Devine King & Queens Online Magazine For Teens & Tweens. Join us as we highlight various events in Houston,Tx and across the United States featuring children who are making a difference, as well as souring in all that they do. The Premier Edition will feature stories from our Founder & Editor (Ms. Caddie) and her family. Featuring highlights from: Devine Creations Debutante/Cotillion Ball & Gala, and also Houston’s biggest event: Nzuri’s – Little Miss “Happy” Headed Pageant. We are very excited to feature so many young and talented children around the world.